In a broad sense, Natural Computing, that is, computing inspired by nature and computing taking place in nature, constitutes my research field of interest. At present, my work is focusing on developmental processes occurring in biological systems. The objective is both model such systems in terms of information processing, and capture some mechanisms that could be introduced in data structures and algorithms in order to solve engineering problems. My favorite research subfields are: Artificial Chemistries, Evolutionary Computation, Systems Biology, Unconventional Computing. Since August 2011: Research Assistant at FSU Jena. EU CHEM-IT Project: Artificial Wet Neuronal Networks from Compartmentalised Excitable Chemical Media (NEUNEU). 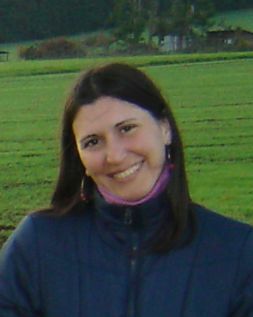 May-December 2010: Research Assistant at FSU Jena. DFG SPP Organic Computing Project: The Chemical Metaphor as Programming Paradigm for Organic Computing. Since October 2008: PhD studies at FSU Jena. First three years granted by Universidad Simón Bolívar and Deutscher Akademischer Austausch Dienst (DAAD). Supervisor: PD Dr. Peter Dittrich. January 2006: MSc in Computer Science. Universidad Simón Bolívar. Caracas, Venezuela. Master Thesis with Honorary Mention. Supervisor: Dr. Gabriela Ochoa. July 1995: BSc in Computer Science. Universidad Centroccidental Lisandro Alvarado. Barquisimeto, Venezuela. Co-organiser of the 1st COBRA Summer School on Biological and Chemical IT, 9-21 September 2012, San Candido, Italy. J. Behre, G. Escuela, T. Hinze (Eds. ), Proceedings Compendium of the Fourth Workshop on Membrane Computing and Biologically Inspired Process Calculi (MeCBIC2010) and of the First Workshop on Applications of Membrane Computing, Concurrency, and Agent-based Modelling in Population Biology (AMCA-POP2010), ISBN 978-3-86805-767-6, , Verlag ProBusiness Berlin, 238 p., 2010. G. Gruenert, J. Szymanski, J. Holley, G. Escuela, A. Diem, B. Ibrahim, A. Adamatzky, J. Gorecki, and P. Dittrich. Multi-scale Modelling of Computers made from Excitable Chemical Droplets. International Journal of Unconventional Computing, (in press), 2012. G. Gruenert, G. Escuela, P.Dittrich. Symbol representations in Evolving Droplet Computers. J. Durand-Lose, N. Jonoska (Eds. ): Unconventional Computation and Natural Computation - 11th International Conference, UCNC 2012, Orléan, France, September 3-7, 2012. Proceedings. Lecture Notes in Computer Science 7445 Springer 2012, ISBN 978-3-642-32893-0. G. Gruenert, G. Escuela, P. Dittrich, T. Hinze. Morphological Algorithms: Membrane Receptor-ligand Interactions and Rule-based Molecule Graph Evolution for Exact Set Cover Problem. Proceedings of the Twelfth Conference on Membrane Computing 2011 (CMC12), Fontainebleau/Paris, France, 23-26 August, 2011. M. Goncalves, I. Martínez, G. Escuela, F. Di Bartolo, and F. Sardá. An Evolutionary Algorithm for Skyline Query Optimization. Book chapter in R. Chiong, T. Weise and Z. Michalewicz (Eds. ), Variants of Evolutionary Algorithms for Real-World Applications, Springer-Verlag, 2011.